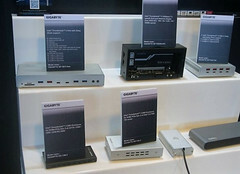 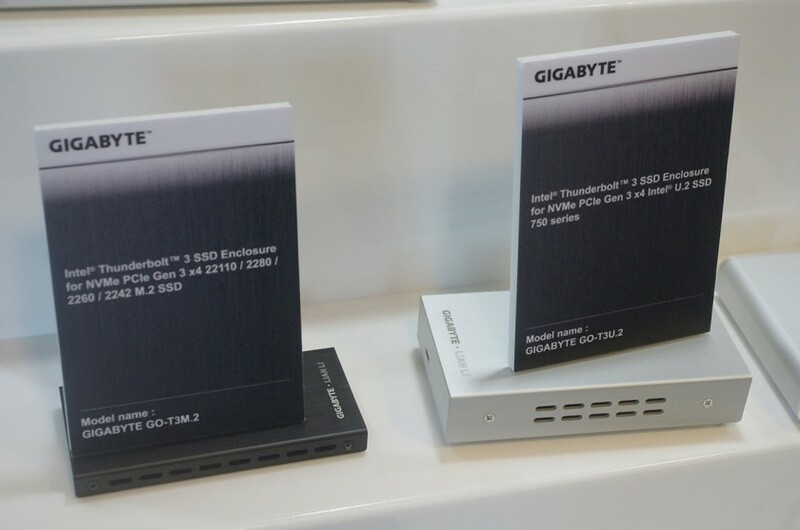 The Taiwanese manufacturer showed off multiple conceptual docking stations that make use of the super-speedy 40 Gbps connection bandwidth including the GP-T3GFx and GP-TBT3. 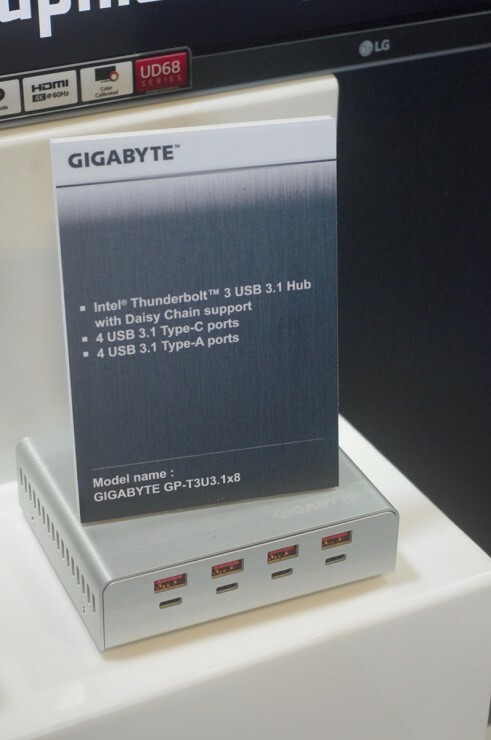 Although Thunderbolt 3 has yet to be widely adopted onto mainstream or budget notebooks, the standard has been slowly trickling down from pricey gaming notebooks and Ultrabooks to more affordable models. 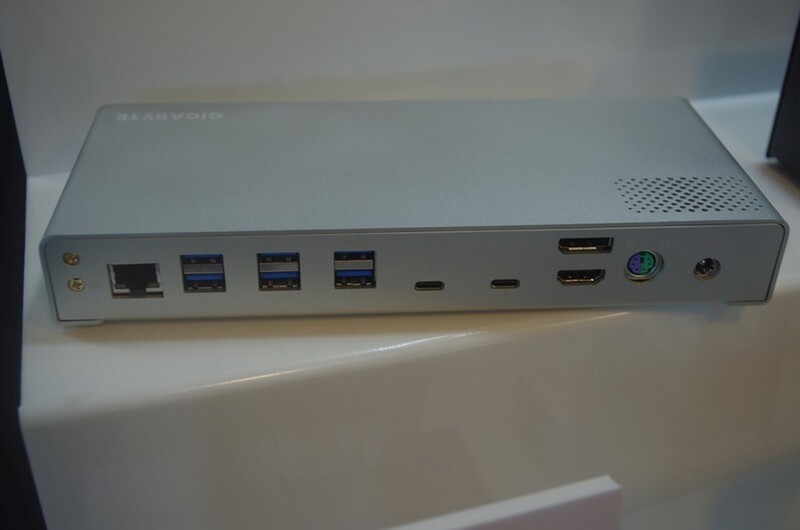 External GPU solutions for netbooks or convertibles have the potential to be game changing as they can allow very cheap notebooks to run even the most demanding of games. 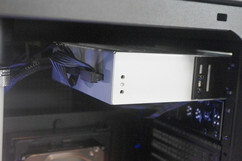 The Razer Core, for example, remains one of the very few options available with a ship date later next week. 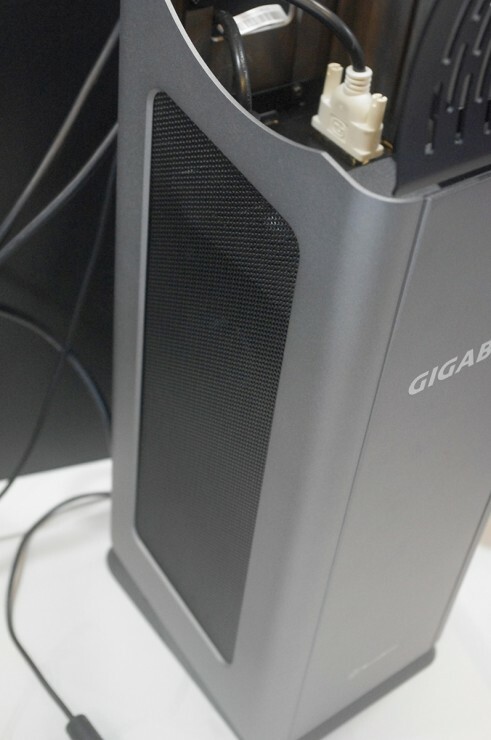 Designed after a standard mini-ATX desktop tower, the GP-T3GFx allows users to install an external GPU with the ability to daisy chain other devices such as additional displays or drives. 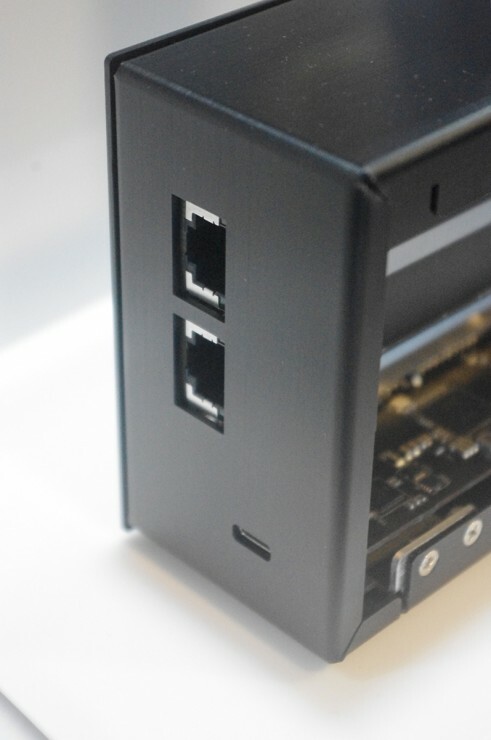 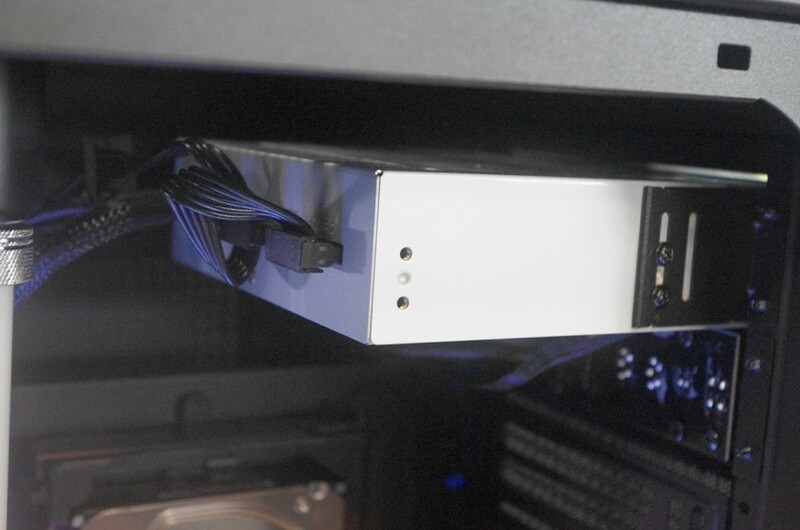 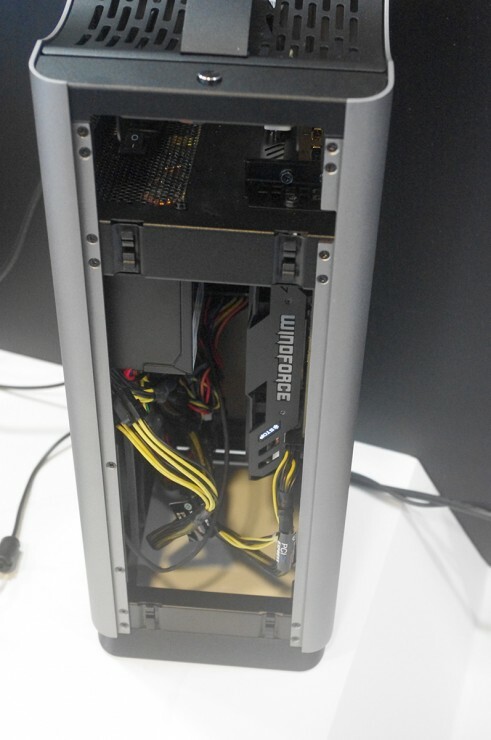 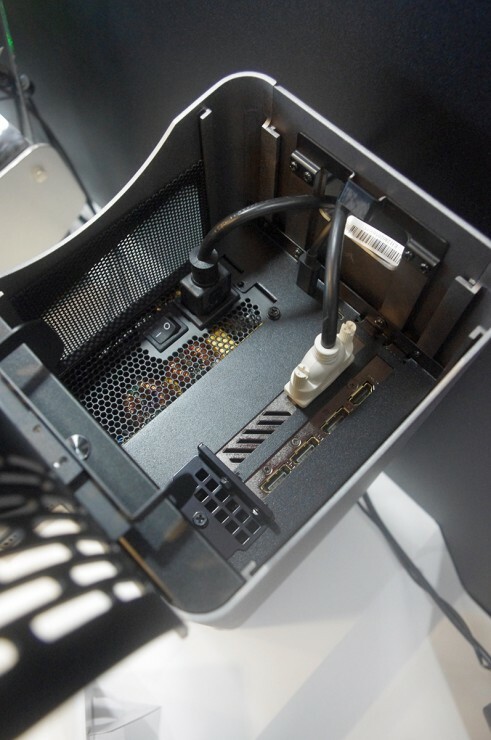 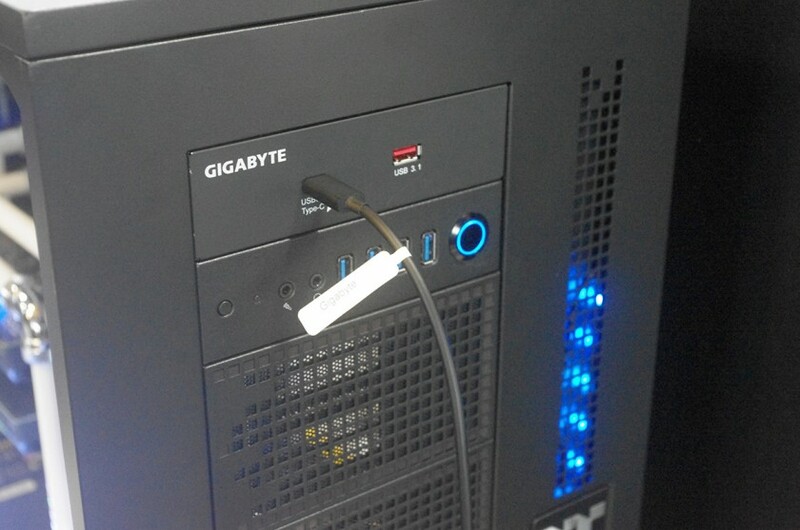 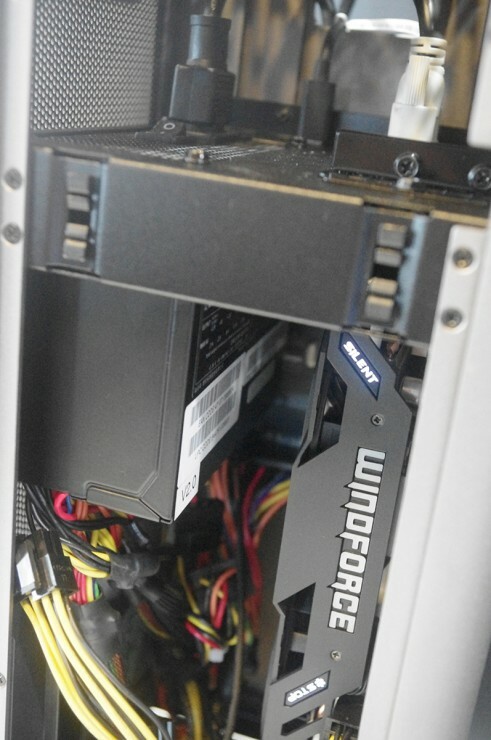 The GPU is inserted vertically from the top unlike on most desktops or other competing docking stations. 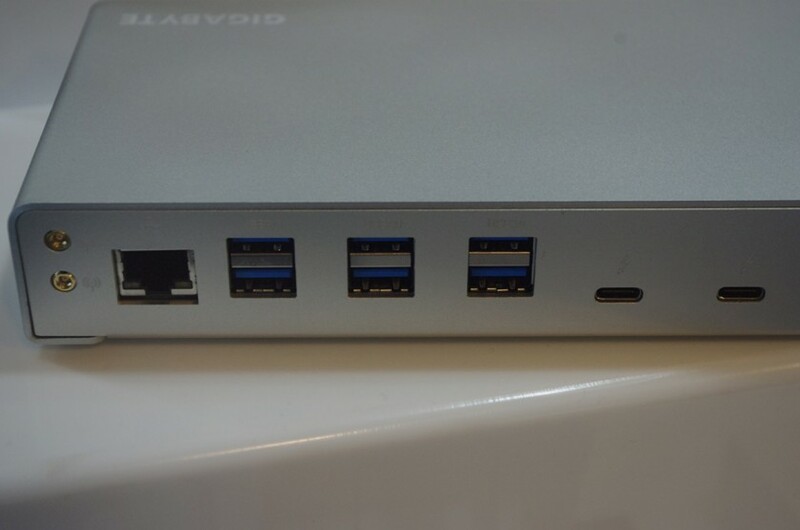 The most notable extras are the M.2 slots for SSDs and WiFi, both of which are unheard of for a Thunderbolt 3 docking solution. 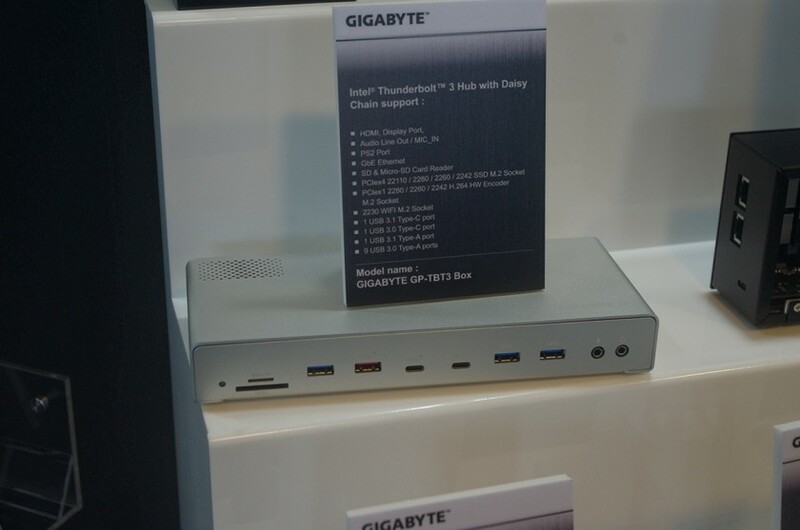 The dock will also support daisy chaining of devices like the GP-T3GFx. 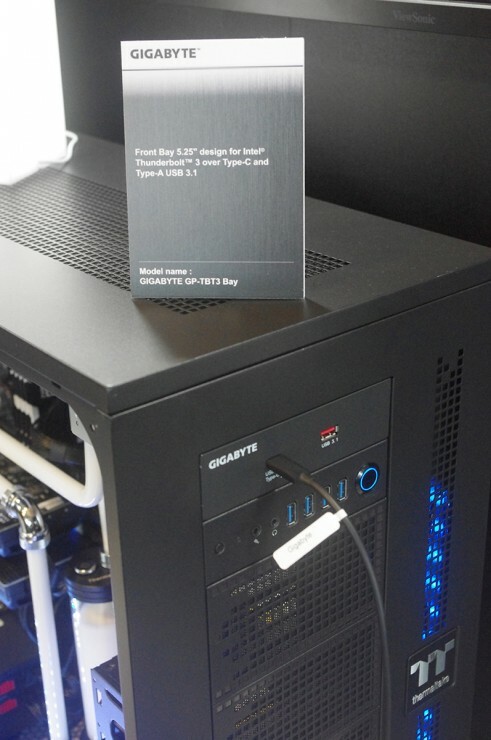 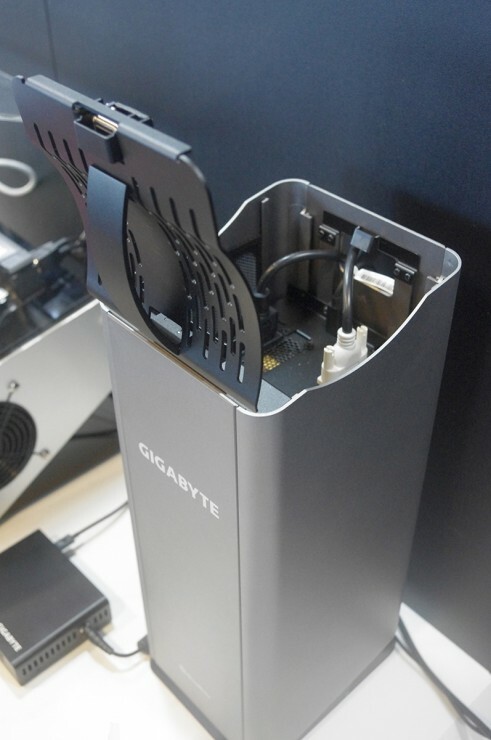 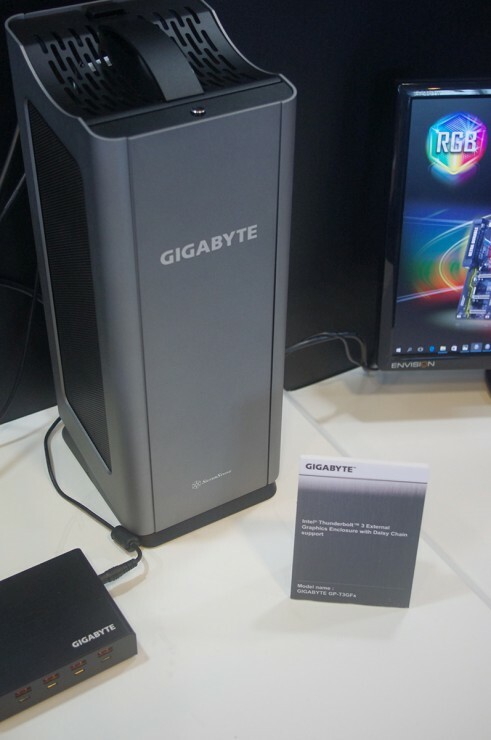 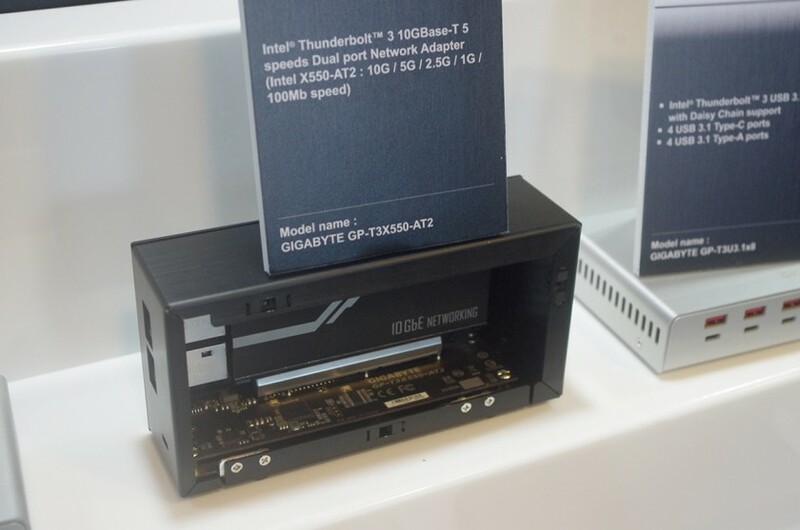 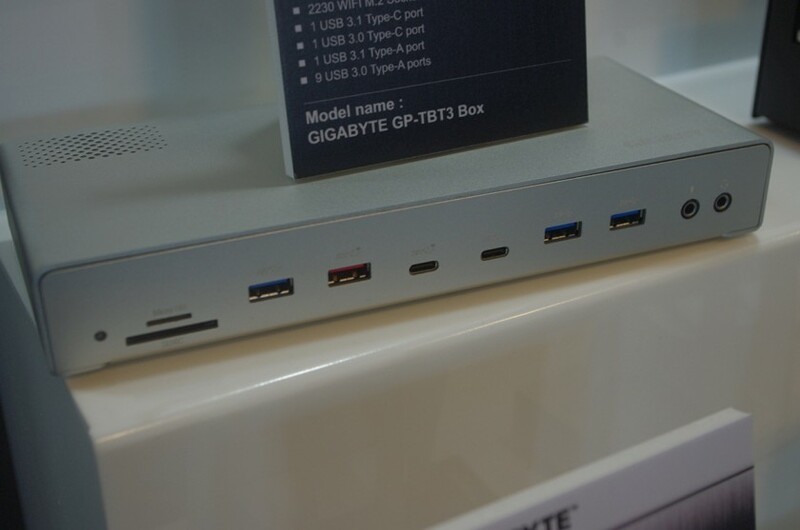 Not content with just two major options, Gigabyte showed off a variety of Thunderbolt 3 docks including the GP-T3x550-AT2 and its integrated 10 Gbit/s network card, GP-T3U with 8x USB Type-C ports (4x USB Type-C, 4x USB Type-C + Thunderbolt 3), and the GO-T3M.2 and GO-T3U.2 for 3x M.2 and 3x U.2 SSD slots, respectively. 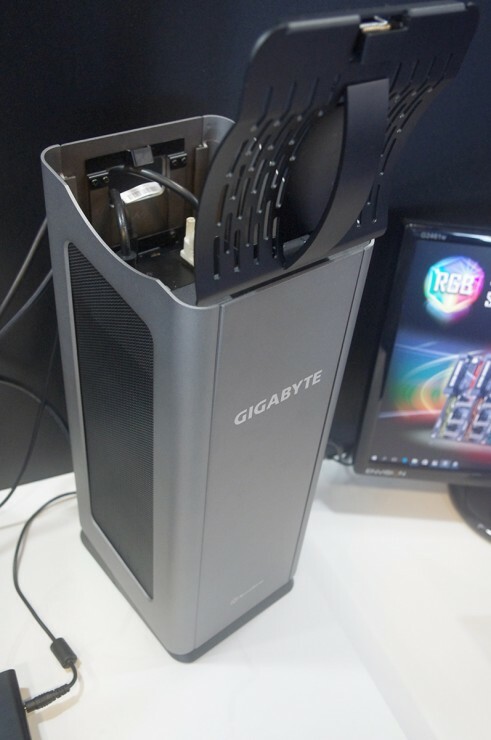 Prices and availability for the docking stations remain unknown and the GPU docks in particular are still in development according to Gigabyte. 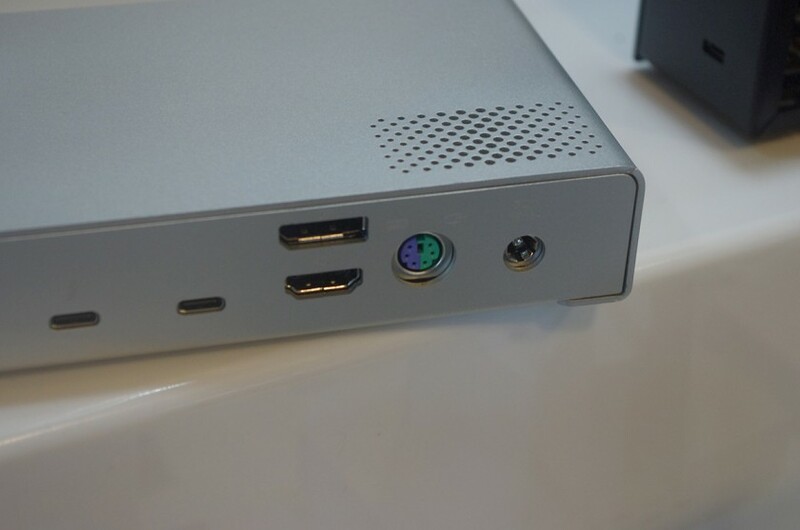 While Thunderbolt 3 docks are promising and growing in numbers, notebooks that support them are very limited for now.